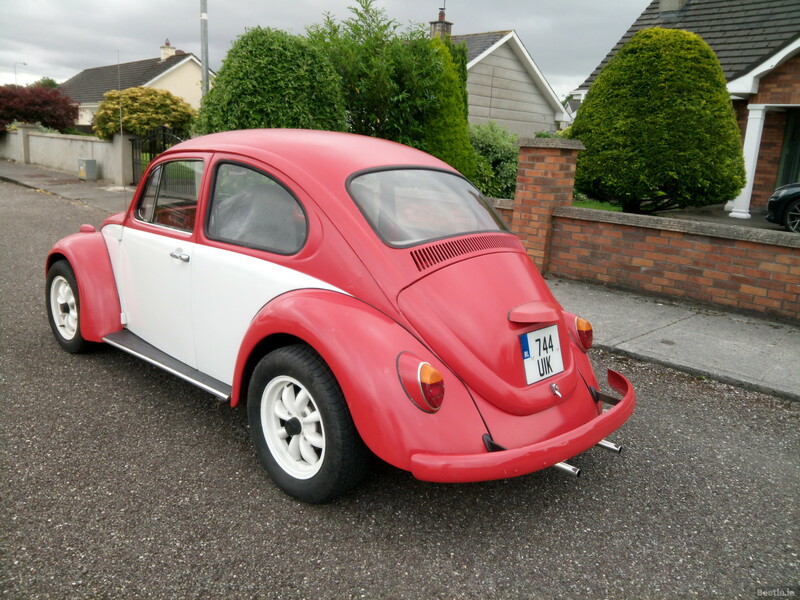 I bought it from a workmate that used it as his daily driver for a number of years, so unsure of its history. 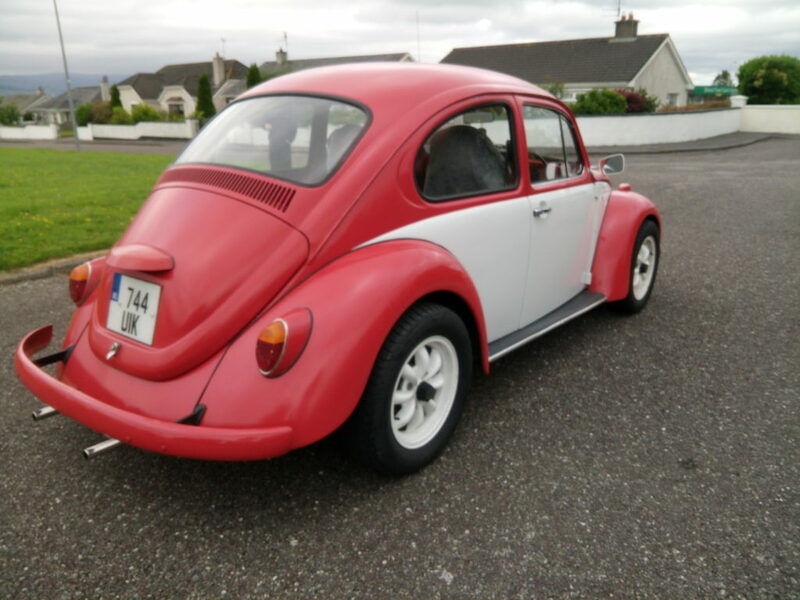 Original colour was purple and it seems to have been painted yellow too at some stage but it’s now the red/white two-tone seen here. 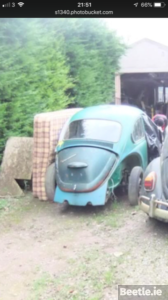 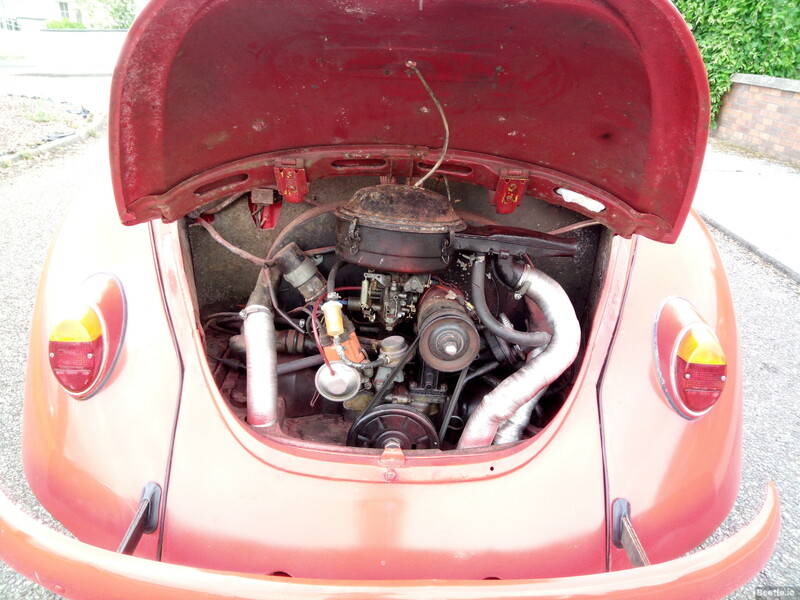 Original engine was 1300cc but has since been fitted with a 1600cc twin port. 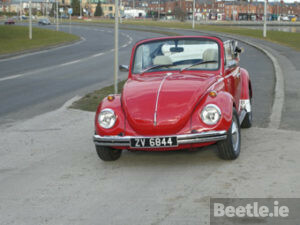 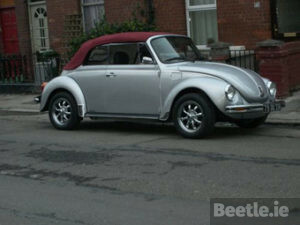 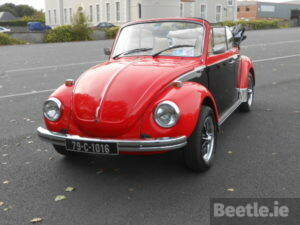 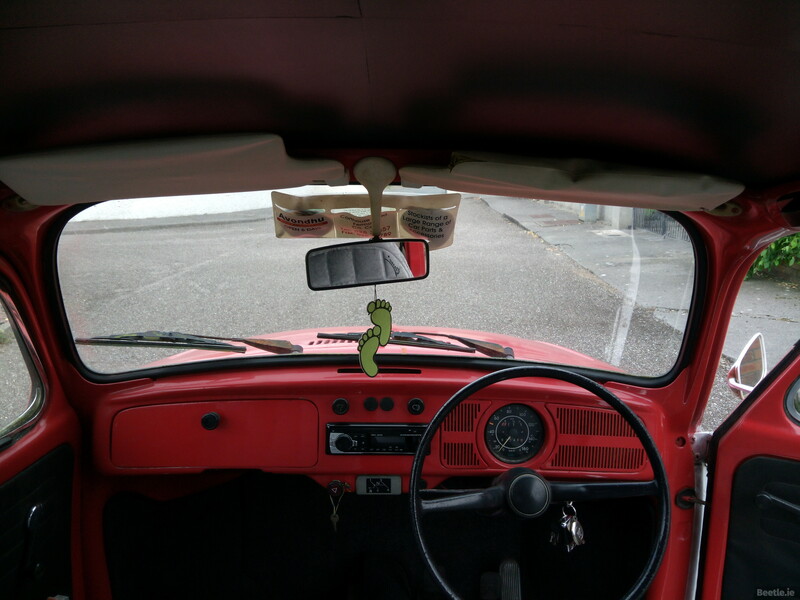 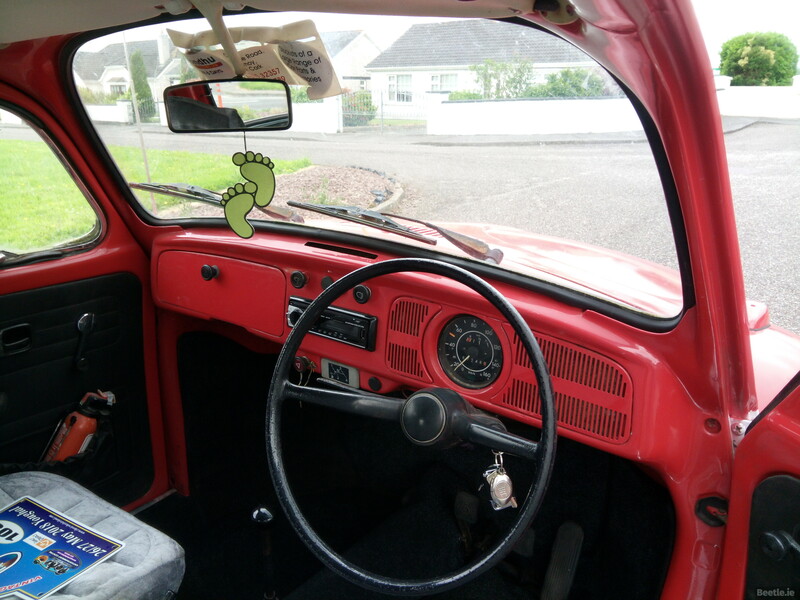 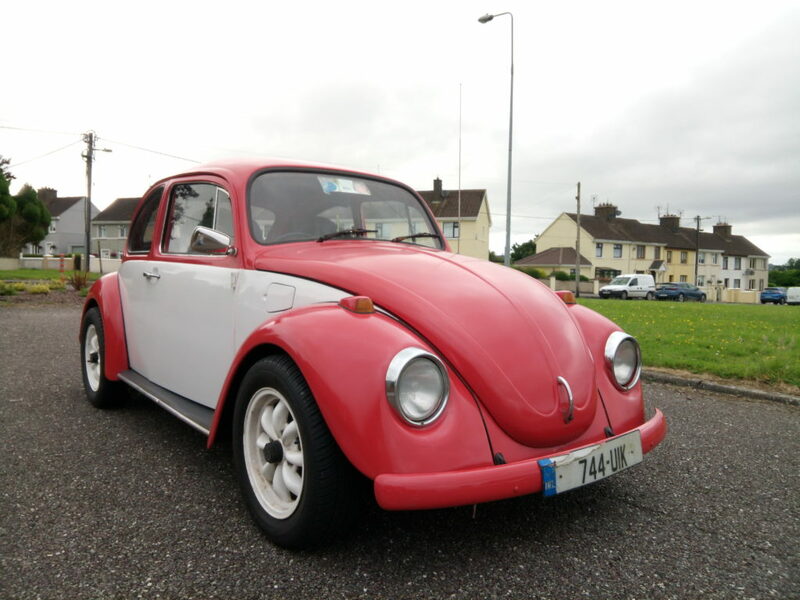 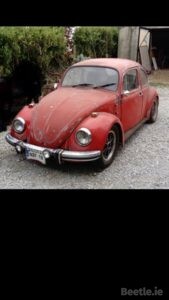 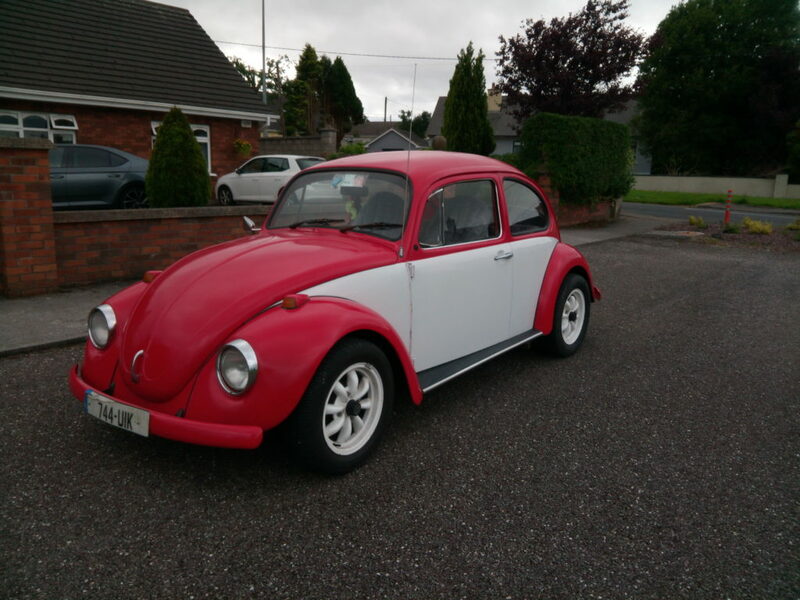 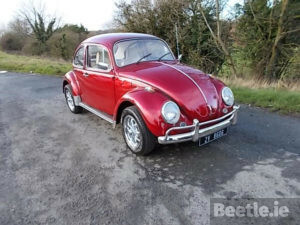 I use the Beetle a few times a week here in Mitchelstown.